As I add more pages to this site, I will update you on what is new in this space! Do you know why have I chosen the sunflower to grace the homepage of this site? 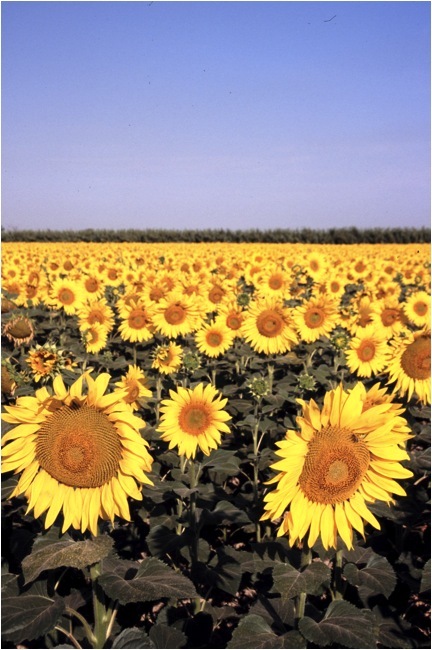 That's because although the sunflower has spread around the world and has been made famous by painters such as Van Gogh, it is indigenous to the American Plains. While I am working on this site, be sure to check out my primary site, Mother Linda's. The American landscape is as rich and varied in terroir as any other country. Chefs and home cooks alike have a wealth of plants and animals on the land and in the sea to draw from for a unique American cuisine. However, oftentimes this diversity is not recognized, celebrated or capitalized on. This site is an exploration by genus and species of the basic food ingredients that grace our country from shore to shore. When possible, I will also tell you about festivals related to the various species.